Stop pacing the floor, surf and hotrod aficionados, here's the collection you've awaited for decades, the package you feared might never see legitimate release, the definitive legacy of the missing third of the Jan & Dean/Beach Boys/Bruce & Terry triumvirate. 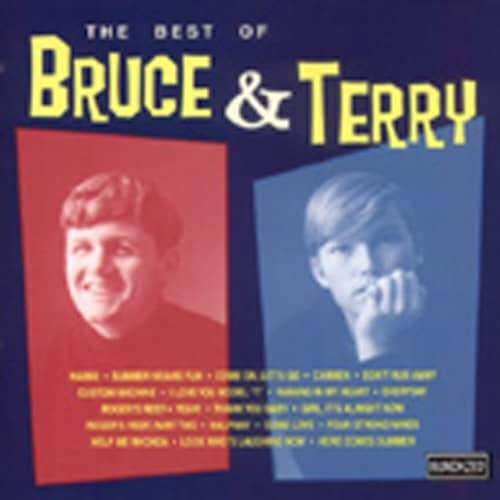 The Best Of Bruce & Terry illuminates two important missing links in the history of rock music: that between the Brill Building pop of the early 60's and surf and hotrod music, and the other between surf/rod and the folk-rock explosion of the mid-60's. But fear not, school-a-phobics, this is much more than mere history, it's the genesis of the California Sound, a jangly, upbeat celebration of summer, girls, cars and the ocean. Our package contains a total of 20 essential rides, all from the original master tapes, the charting singles 'Custom Machine' and 'Summer Means Fun,' all other Columbia single sides, 4 rare cuts waxed under the name The Rogues, a slew of unreleased and first-time-stereo tracks, rare photos and extensive interviews (finally!) 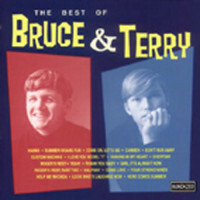 with Beach Boy Bruce Johnston and producer-wunderkind Terry Melcher.